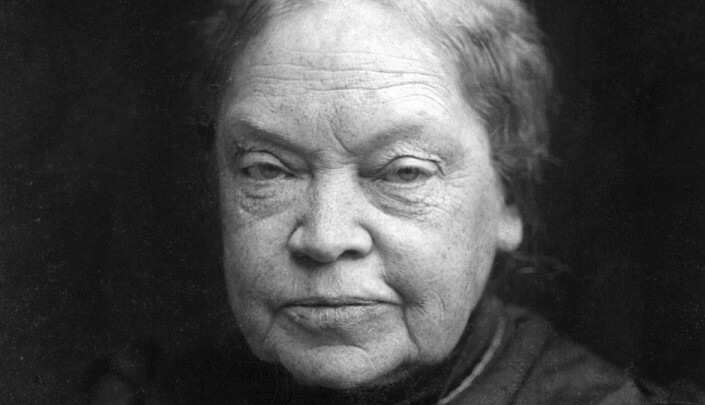 German-language writer of Czech origin Marie von Ebner-Eschenbach is considered one of the most important literary figures of the 19th century. Household name in Austria, practically unknown in her homeland. 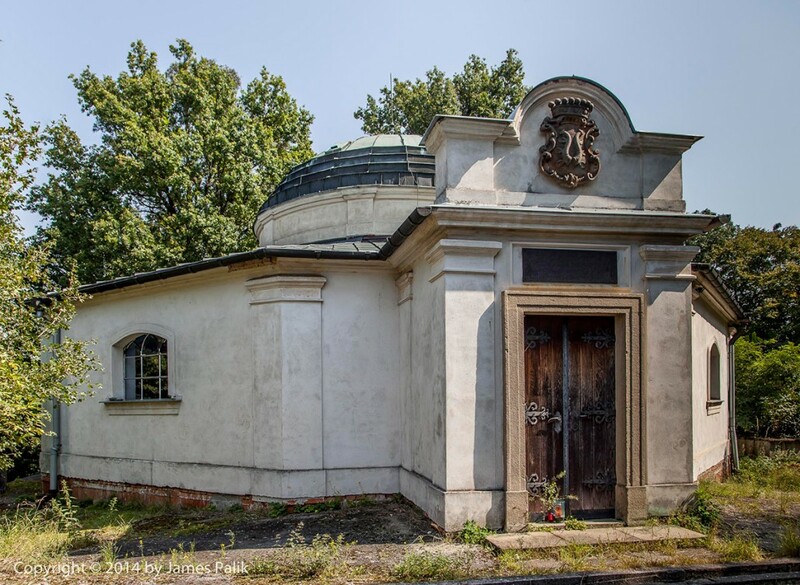 Reconstruction of the tomb in her native village of Zdislavice is the reason why we want to draw attention to the link and remind the 100th anniversary of her death in the year 2016.
Notable Classicist tomb with a chapel is located in the village of Zdislavice in the Kromeriz district. The place is admirable for its technical and architectural solutions, the unique atmosphere and sensitive incorporation into terrain with long-distance views of the landscape. 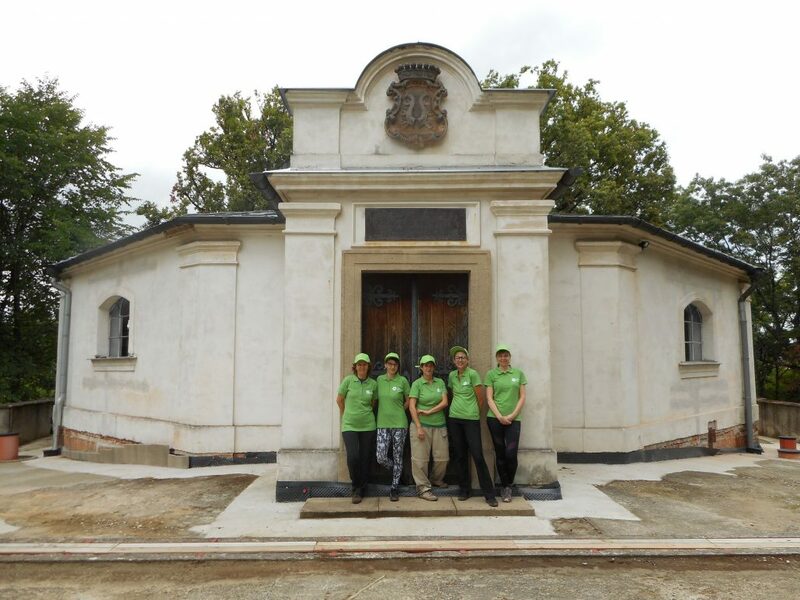 We are raising funds for the reconstruction and restoration of the interior of the tomb, chapel and furniture. In cooperation with the Zlin region, Museum of Kroměříž and the Moravian Museum we are preparing a series of events to commemorate the centennial of Marie von Ebner-Eschenbach in 2016. 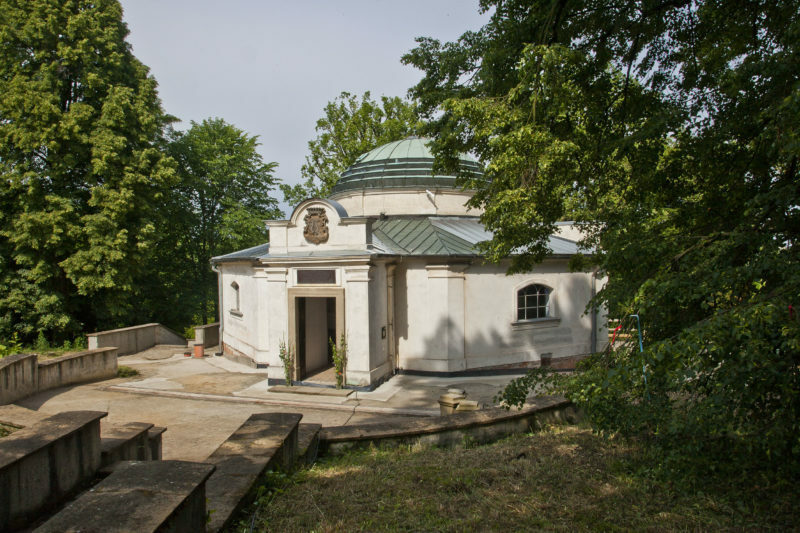 Since 2015, the Czech National Trust (CNT) owns the land surrounding the building of the tomb and chapel. The building was recently donated by the Zlin Region, which works closely with CNT. 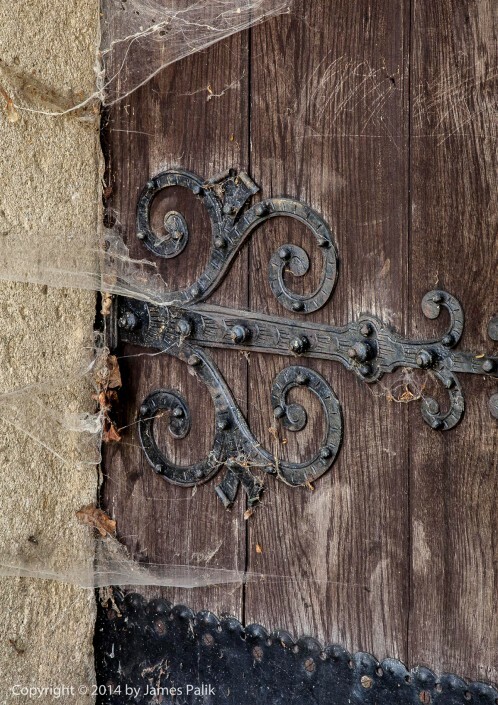 In 2015 the first phase of reconstruction was successfully completed – structural reinformcement was designed and implemented by the Zlin Region in cooperation with the Czech National Trust with the support of grants from the Czech Ministry of Culture. 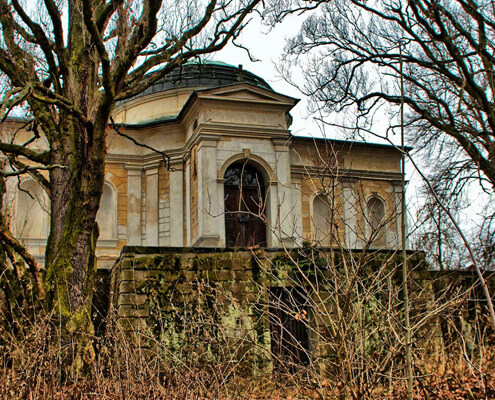 Of the total amount of CZK 4,025,000 CZK 900,000 was paid from the Program for preservation of architectural heritage 2015, the remaining amount of CZK 3,125,000 was funded by the Zlin Region. Marie von Ebner-Eschenbach is considered one of the most important literary figures of the 19th century. German-language writer of Czech origin was almost completely forgotten in her home land after the collapse of the Austro-Hungarian Empire. 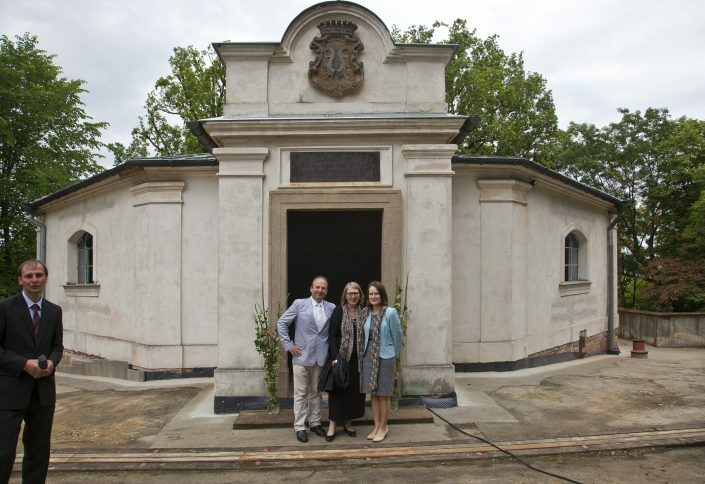 By reconstructing the tomb in her native Zdislavice, Czech National Trust wishes to do more than simply highlight the literary and cultural legacy of this extraordinary woman. The aim is also to point out her warm relationship to the Moravian countryside, which was her lifelong inspiration as well as make known her extraordinary social conscience of promoting talented youngsters and constructing alms-houses and kindergartens in her birthplace. 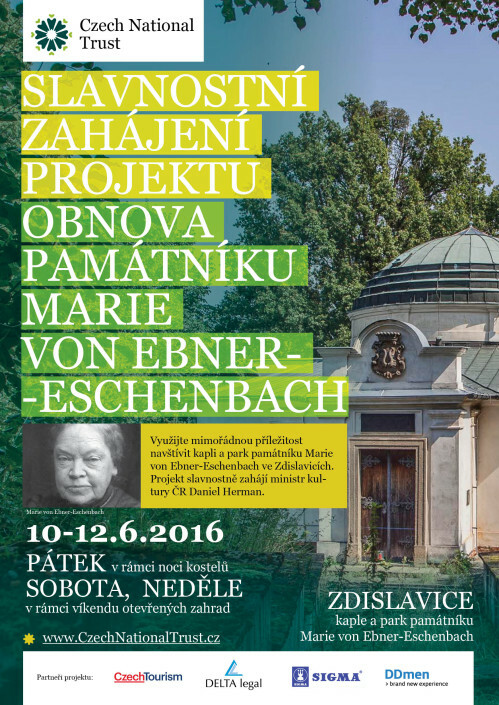 buy the book Marie von Ebner-Eschenbach and Zdislavice for 200 CZK or more. From the set price CZK 100 will be contributed to this project and you will also learn everything you did not know about the world famous writer of Czech origin. other types of support (architects, craftsmen, experts, appraisers,…) let us know if you can help us in any way!